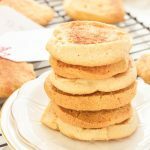 These Georgia peach snickerdoodle cookies are gluten-free and so simple! Sweet potato is hidden inside as a healthier alternative, and peach preserves serve up warm bites of chewy peach in every bite. Crunchy on the outside, perfect on the inside. I was lucky enough to be asked by Bob’s Red Mill to make a Christmas cookie that best represented my state of Georgia during their United States of Cookies campaign. And then Georgia peach everything started rambling through my head. 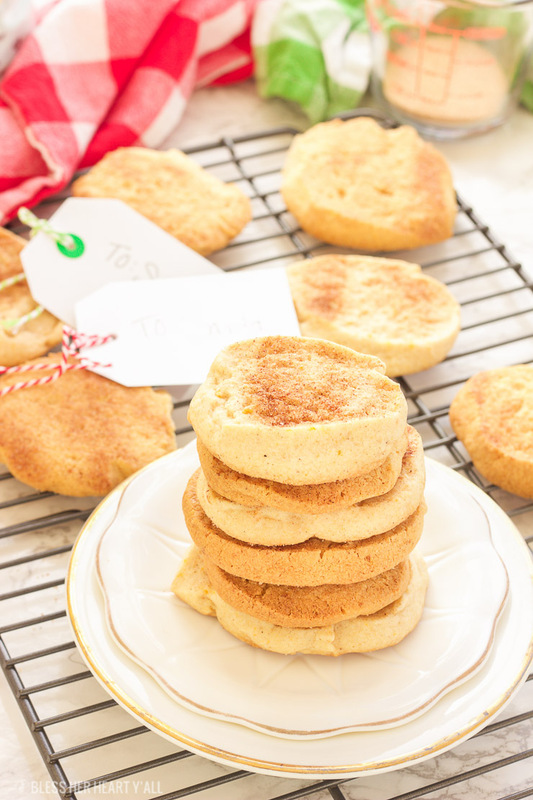 At about the same time I had been starting my list of Christmas cookies to make and those darn amazing snickerdoodle cookies were on my list (I mean, of course they were!). 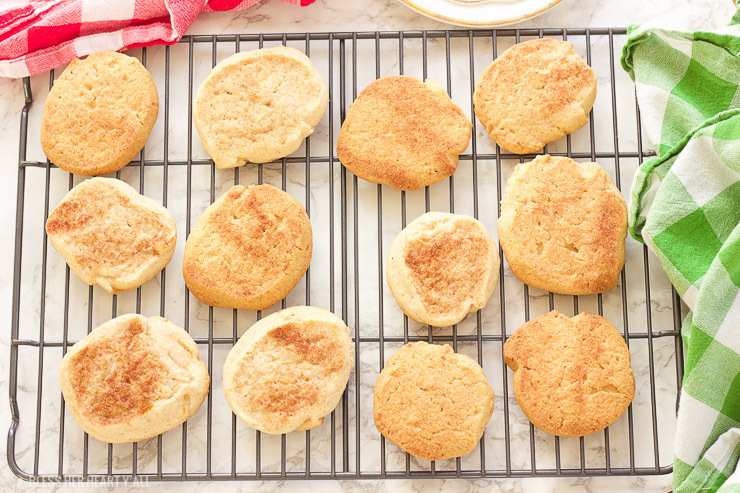 Who doesn’t love a good snickerdoodle cookie? Who wouldn’t love a snickerdoodle that has a little bit of a healthy boost with that sweet potato snuck in there? And who wouldn’t love some warm gooey bits of peach in with each and every bite? Does it sound amazing friends? Because it is! And it’s all gluten-free! I used Bob’s Red Mill Gluten Free 1-to-1 Baking Flour. It’s perfectly formulated for baked goods with terrific taste and texture, no additional special ingredients needed. The protein in the sorghum flour helps give baked goods an almost wheat-like texture and aids in browning. You can use this blend for cookies, cakes, brownies, etc. 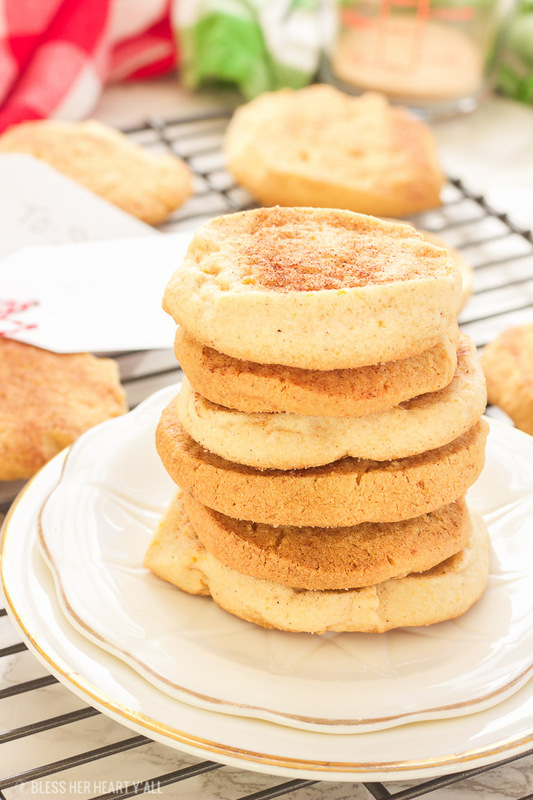 These Georgia peach sweet potato snickerdoodle cookies are gluten-free and so simple! Sweet potato is hidden inside as a healthier alternative, and peach preserves serve up warm bites of chewy peach in every bite. Crunchy on the outside, perfect on the inside. 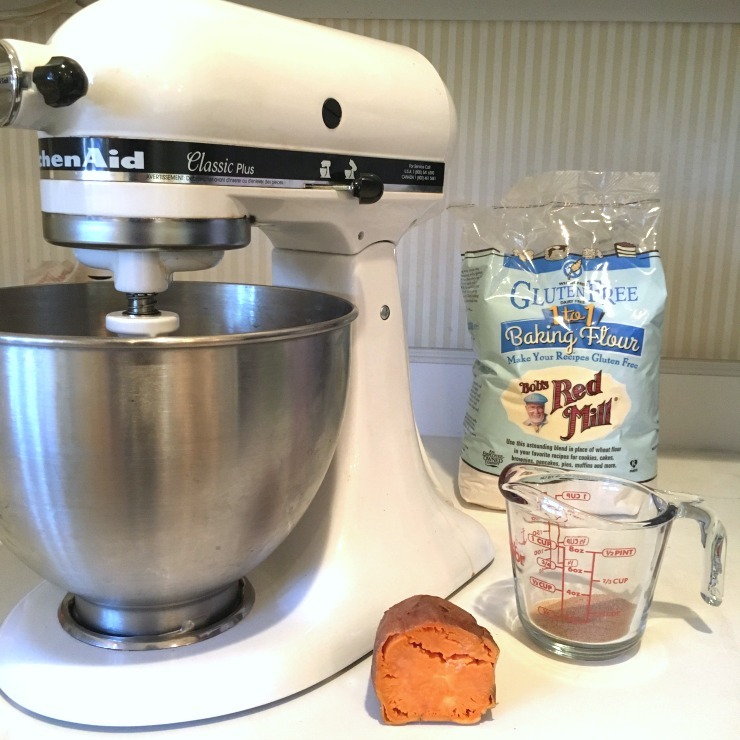 In a stand mixer, combine the coconut sugar, oil, mashed sweet potato, preserves, and vanilla extract until thoroughly combined. In a separate bowl combine the flour, cinnamon, nutmeg, ginger, allspice, sea salt together. Using the stand mixer, slowly start combining the dry ingredients to the wet ingredients until smooth dough forms. Place dough on a long piece of parchment paper and roll into a log the width of the bottom of a coffee mug and place (while still wrapped in parchment paper) in the freezer to chill for 10 minutes. Remove from the freezer, slice into 1/2" rounds and place on parchment paper lined baking sheets. Sprinkle with cinnamon sugar if desired and bake for 18-22 minutes or until the edges have turned golden brown. Allow to cool on a cooling rack before enjoying! A quick cinnamon sugar topping: Combine 3 TBSP coconut sugar with 1 1/4 tsp ground cinnamon. Don’t forget to visit the “United States of Cookies” site to see what your state cookie is! Every state has something that truly makes it special and bloggers are turning that somethin’ special into cookie form! 50 states, 50 bloggers, 50 cookies, with one mission — to bring our country together for a sweet treat that celebrates the good ol’ U.S. of A. 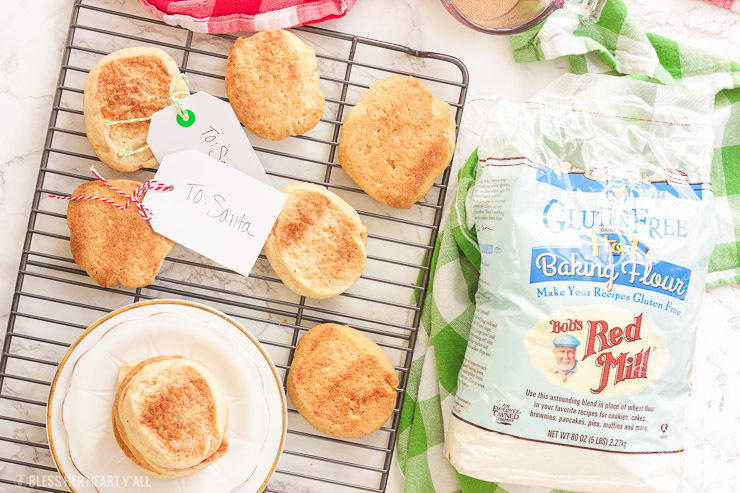 While you’re at it, pick up your Bob’s Red Mill coupon to purchase your own stash of this 1-to-1 Baking Flour.